Few TV shows have created as much fervor within the Asian American community as Fresh Off the Boat. Between the coordinated hashtags, back and forth pre-release debates and the constant scrutiny on the smallest of details, it’s easy to forget that this is a network sitcom. 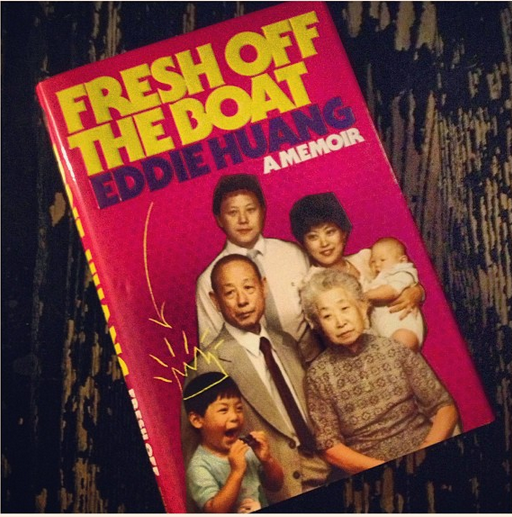 Based on the memoir of chef Eddie Huang, Fresh Off the Boat has morphed into a call for change and symbol of pride for the Asian American community. I had the opportunity to attend the live community screening of the show at The Circle in New York. The nightclub-turned-theater easily hit its 1000-person max capacity with stars Hudson Yang, Eddie Huang and Randall Park mixed in with community sponsors and excited fans. I also attended a talkback for the fifth episode which included a panel featuring Father-of-actor Jeff Yang, Gothamist Co-founder Jen Chung, Comedian Jen Kwok and Entertainment Weekly Staff Writer Ray Rahman. These viewing parties extended beyond the boundaries of New York, cropping up in every city that had some sort of Asian American presence. For a Netflix-in-bed TV viewer, you could say that I’ve been swept into the hype of things too. It was impressive that so many people were excited to watch a show, but even more so that Asian American journalists, celebrities, artists and anyone else invested in the Asian American community were passionately fighting for the show. It’s easy to see why. As the first Asian American-centered network show in 20 years, Fresh Off the Boat was a breath of fresh air. The show was met with a shower of praise soon after debuting. People were enamored with how cute Forrest Wheeler and Ian Chen were as Eddie’s brothers, Emery and Evan. Critics quickly cited Constance Wu, who plays Eddie’s mother, as a breakout star. The packed crowd at The Circle cheered and booed as little Eddie navigated a white-dominated neighborhood that was all too familiar for the attendees. This was extraordinary, but also sad. Strip away the cultural significance and you’re left with an above average sitcom, one that certainly wouldn’t warrant the intensive discussion that this show is receiving. Questions on how accurately the protagonist captures the Asian American experience and what ethnicity the writers of the show are would never appear with the same regularity for other sitcoms like Modern Family or New Girl. But the cultural and historical significance of Fresh Off the Boatcan not be ignored. During the packed event at The Circle, Eddie Huang makes it clear that we shouldn’t have to be having these large campaigns and events. And it’s true. It’s great that the Asian American community is coming together to push for the success of this show, but Fresh Off the Boat shouldn’t be an anomaly. Eddie Huang shouldn’t be the only Asian American story being told. Fresh Off the Boat shouldn’t be the only Asian American story we see. Unfortunately, since that’s the reality of current circumstances, it’s brought in a range of emotions from various demographics. The unfamiliarity of the situation have some people clamoring that it’s racist. There’s been many productive--and not so productive--conversations on the title usage, portrayal of Blacks, and authenticity to the source material. Just as with how Huang expressed his desire for the release of a new Asian American show to be less of a spectacle and more of a commonplace occurrence, I hope some of these conversations will be common knowledge next time around. From comments by friends and feedback from both of the events I attended, the consensus by the Asian American community is one of delight that a show is willing to chart experiences we’ve felt, that it had characters relatable to our plights and that was willing to make jabs at issues we face. Fresh Off the Boat was relatable. This is what’s so sad about this situation. TV characters and tropes are designed to be relatable. The fact that it took this long for a show to address the needs and wants of the Asian American community demonstrates how far removed the American media system is from where it should be. We have such small representation in mainstream media that we need to place a huge burden on this show, hence the critical comments and apprehensive anticipation. Thankfully, the show has so far delivered as promised, and the community has responded in kind. Perhaps since every move was judged by a magnifying glass, five episodes in, Fresh Off the Boat remains a biting, funny and relatable Asian American story. The next big hurdle is to keep the momentum going, having more minorities take up the directing, writing and producing roles, leading to more stories like Fresh Off the Boat. This is just the beginning and I’m excited to see what comes next. Newer PostCome join us on April 1st!